Valued by many cultures for thousands of years, tea has been noted for its health benefits around the world. Tea, also known as Camellia sinensis, has revealed to help tea sippers live healthier lives. 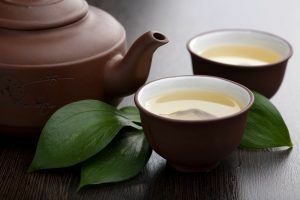 Recent studies show that tea (black, green, oolong and other varieties) affects the body at a cellular level to enhance health and have even shown promise to help slow down the aging process. Not to mention, the comforting and calming effect on your stress level that can be found in a warm pot of tea. Warms you from the inside out. Tea has an immediate benefit of helping to soothe, calm, and relax us. Research from UCL (University College London) has shown that black tea promotes more rapid recovery from stress by returning the body to normal levels of stress hormones. Drinking several cups of green tea per day has shown to reduce physiological stress and increase feelings of well-being. Certain compounds found in green tea may offer anti-stress and anti-inflammatory effects, which in turn curb the development and progression of depression. Tea for better heart health. Tea can be an integral part of a heart-healthy diet. In Japan, where green tea is a staple in their diet, tea seems to play a role in reducing the risk of death from heart disease. The polyphenols in green tea help to facilitate blood flow and can help to reduce the occurrence of heart disease. Tea is best consumed freshly brewed without the addition of sugar, honey, or cream that can negate the positive effects. Tea cannot be a substitute for a healthy lifestyle, but it can be an additional tool to keep you healthier longer. Chinese healers for years have considered teas as a powerful tool to fight infection, influenza, pneumonia, and even gum disease. Nutrient-rich green tea is packed with antioxidants. Matcha (a finely ground tea leaf powder) from Japan contains up to seven times more antioxidants than dark chocolate and seventeen times more than blueberries. These powerful antioxidants have positive health benefits including boosting your immune system and aiding the body’s defense against free radicals that can cause illness. Drinking tea has been linked to higher bone mineral density (BMD) and a reduction in hip fractures. Even after menopause, research has shown that tea helps to protect against bone loss. The flavonoids found in black tea can be a potent weapon against osteoporosis in the aging population. And add milk to your tea to boost these benefits even more. Research on the health benefits of tea is ongoing. But this warm brew has very promising health benefits. Ask our Aegis Living professionals about our natural health options.